Our family like some other families have an early reunion dinner with our extended family members first, a day before the Eve! This is to enable each individual family to have their own reunions at home on the eve of the Chinese New Year! So here we are at Geok Lee's oldest brother's home. He is a terrific cook and everyone enjoyed a sumptous dinner! Our first Chinese New Year celebration without Mom. Just not the same without her! 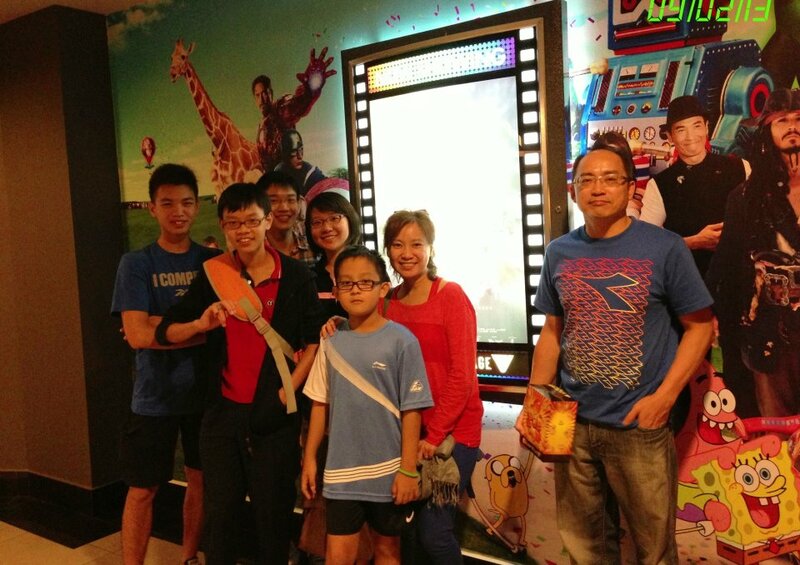 After a great dinner, the boys went with their cousins and nephew to watch a late but hilarious movie of Stephen Chow's Journey to the West! As it's a family gathering, the 'ang pows' or traditionally red packets of money were given to the single children way early even before the Chinese New Year had started! Just like the different colors from the traditional red packet seen for Chinese New Year, I had to make sure I have the right color for parking coupons placed on my car for my daily day or night parking in Singapore with the right charges! It is only on Sunday or public holidays that I will enjoy free parking during the day but never for the nights! By the Eve of Chinese New Year, we received even more goodies from the family reunion of the previous night, Our neighbor also brought additional ingredients to our home as they heard we were doing the steam boat or hot pot for our dinner on the Eve nite! They also surprised us with a large dinner dish on Christmas Eve as noted here. I was surprised by this Malay man who spoke hokkien to me at the car park! I even got to know the other lady shoppers at the supermarket as the queue to the cashier was extremely long so we had time to chit chat! One lady shopper even brought me home to meet her husband, David Ooi, whom she thought would love to chat with me too! We became instant friends as we shared a common active mind of high energy or common frequency though he is 22 years older than me!!! 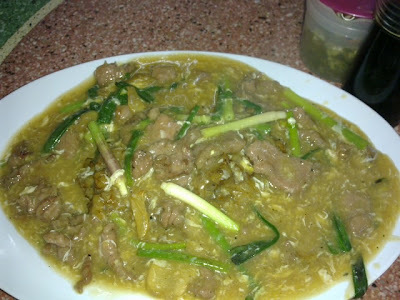 He later invited the boys and I to have steam boat at their home. I had basically woken up early to catch any extra food that we might need and got excited about these racks of roasted chicken and ducks in the nearby market area. I guess I wasn't the only one excited about the hanging chickens and dugs! As we were doing our own home made steam boat or hot pot to cook for ourselves, I decided to roast our own chicken and just got some last minute items such as home made fish balls sold at another store! By 7.30pm, all the food was ready to be served! There we are, just the four of us boys with Mom looking on at the back, as if pleased with what we have managed to put together, not forgetting with some help from our neighbor who shared more ingredients with us. Here is wishing all our family members and friends with some Chinese blood in them, GONG XI FA CAI! Life is still good for us in Singapore! As the first day of the Chinese New Year fell on a Sunday, we all attended Church at 9am to greet each other after the 1 hour only sacrament meeting for the day. Here is Ern with his friends. It was a combined meeting of two wards so Shuan got to meet up with his cousin Ying Er from the other ward. Meanwhile Ray is found cleaning up after the sacrament meeting with his fellow young man. Here are 3 fellow returned missionaries from the early 80s who served under Pres. Talmage Jones. The couple on the left, the Taylors, are new to replace the Howells who are being transferred to Kuala Lumpur. Seeing these 3 sisters all dressed up makes me miss the girls in our family. With such pretty matching shoes! Last year, the Year of the Dragon, I started crafting CSF Dragon Quotes throughout the year. This year, on the first day of the Snake year, I thought I will start by crafting emails from my Heart and Mind and send them off to my friends and family members with love. If any of you reading this may not have received one in your inbox, I may not have your latest email address so please private message me in facebook or send to admin@familylane.info with the latest. Mom's oldest sister had passed away quite some years ago now. Her eldest brother with his wife is on the front right who hosted the pre-CNY gathering for all the younger families at the top of this post. Her 2nd brother with his wife is seated on the front left. As the youngest of the families, we had earlier visited their individual homes, exchanging oranges and receiving 'Ang Paos' for the children if they had not received any yet in the pre-CNY gathering. In the home of Mom's sister, we had her cousin's children, Issac and Felix, entertain the adults instead by selling their toy ice cream and cookies from their mobile carts! There was time in the day to visit some friends and it was nice to catch up with an old business friend of mine who used to be based in Jakarta, and he taught the boys some ingenious mathematical card tricks! Well I borrowed this photo from the previous year of the Dragon celebration, to show our last visit to an old friend who could be considered like their grandma. Since the grand parents of the children on both sides of the family had passed away and I didn't have any elderly relatives from Malaysia in Singapore, I considered her like a grand parent to the boys. She was there before and during our marriage and was also at Mom's funeral, sharing her love to us in a span of over 30 years! More details about her are shared in last year's CNY post. 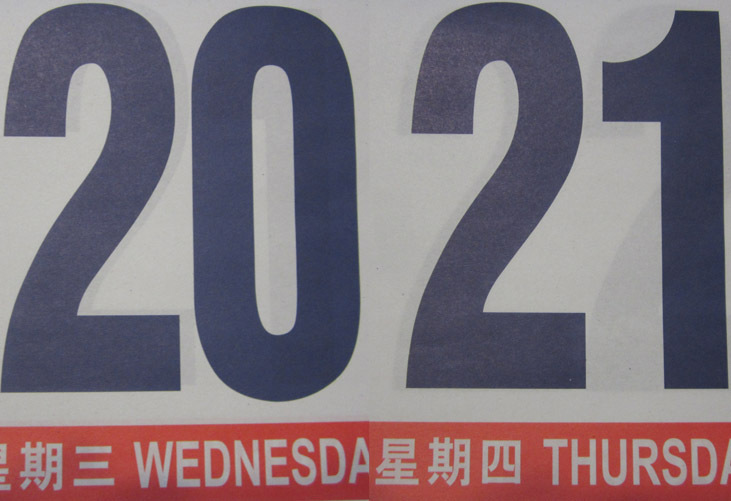 Today is already the 3rd day of the Chinese New Year. Most of the homes we had planned to visit were already done by the 2nd day. This is when the younger families visited the older relatives. This is the year of realization that I have become the older relative!!! Here my niece with her spouse and two children came to our home for a CNY visit, exchanging oranges and ang paos! Then my nephew with his spouse and their 1 child came too! Have I become that old? Guess I don't have to be a grandpa yet to feel old on Chinese New Year! It's nice to see these young families come with their children with active boys especially where the parents are constantly chasing after them. We had four of them so we know what it's like! Sweet memories from the past flows through my mind! It was nice to catch up with another of my old school mate of mine when we had a nice one to one dinner at a quiet restaurant in the Grand Hyatt down town. We chatted on so many different topics but the evening soon had to end. I will be leaving to KL the next day and from there will fly off for meetings in the US. He will be off to Europe next week and so we parted until another time we can get together again. I took this quick snap shot of him just before he dropped me off in his Ferrari. He is indeed a top dog corporate leader in Singapore! I was tempted to borrow his Ferrari to make my trip back to KL the next day when he told me he did a KL to Tuas(2nd bridge to Singapore) run in just over 2 hrs plus with one stop over! On the 4th day of the Chinese New Year, I drove from Singapore to KL accompanied by the lady mentioned earlier in the post considered to be like the childrens' grandma! By the time I dropped her off to her son's place at Kota Damansara area and got back to the apartment in KL, it was already night time. I was expecting a couple from JB spending a night with me as was planned earlier. On arrival, they exchanged oranges with me plus gave me a packet of my favorite food, peanuts!!! I remember this thumbs up brand of ground nuts which I have enjoyed when I was young. I got to know that they haven't had their dinner yet. So I suggested we go on what we call in Malay a "Cari Makan" ride, translated simply as a "Find Food" ride! Being the 4th day of the CNY celebration, many Chinese shops are still closed and the first few places we tried near the apartment were closed. Luckily in my mind, I told them if there was any place at this time that would have Chinese food served, it would be 'Jalan Alor' next to Bukit Bintang. When we got there, there were certainly a whole street of Chinese food being served. There was even a fire works display that everyone turned their heads to look at in the night sky when their exploding sounds were heard. It was hard to appreciate the colors and sparkles of the fireworks though due to the brightness from street lamps and decorative bulbs of 'Jalan Alor'. My guests were very satisfied with the food as they loved the KL style of the black 'Hokkien Mee' that apparently no chef in JB could reproduce! It was a thumbs up experience for us on this 4th day of the CNY! Here is wishing all the sweet couples among our family members and friends a Happy Valentines Day! If spending the first Chinese New Year celebration without Mom is hard for the family, how about Valentines Day for me? We celebrated Valentines Day early I could say, by the window at a quiet corner of a hospital corridor last November of 2012, when she said she wished to get some natural sunshine. She was too weak to walk outside but wanted to walk along the corridors with my assistance, tired from laying in bed too much! With the sun's rays upon us by the window, we hugged each other closely and kissed, exchanging words of love for each other. That was our 'Valentines day' over all the other days that we have shared in our lives, that I will never forget, forever and ever! Love Is from Dad the KL City Kid on Vimeo. While in KL, I got to visit my eldest brother's home and here is my nephew with his new dog Tas! Hmmm... seems like the Year of the Snake is filled more with dog pics than snakes somehow! Started the day early in the morning at 7am to do some final packing and later caught an express train to the airport from KL Sentral at 9am on Friday Feb 15. This was to catch an MAS plane that departed the KLIA at 11am to head to the US for training meetings and updates on the latest technologies and trend setters appearing from the silicon valley techies of this great nation! It's 25 to 27 degrees celcius in San Diego, nice and warm. Plan to sleep in early tonight, go gym and have breakfast in the morning before the day gets busy! On the 7th Day of CNY : "Happy Birthday Everyone!" 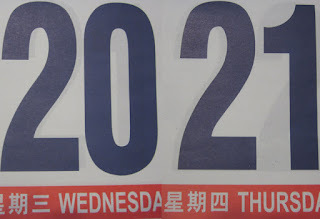 They say the 7th Day of every Chinese New Year is everybody's birthday! I feel justified therefore that I can pamper myself this weekend at the Marriott in San Diego with very comfortable accommodations. ... and eating American breakfast and getting my favorite gyros from a Greek Bistro within the neighborhood. Most passionately, I will be learning the latest creative ideas and business strategies from groups of techies and entrepreneurs working together in this great nation. Indeed my Body, Mind and Spirit will be thoroughly pampered this weekend! You can feel the energy level I experienced in the meetings I've been attending! After the meetings were over, few of us huddled together before saying good bye to each other and going our separate ways. New friendships were made and we returned home charged up with new energies from the things we had absorbed over the weekend of fun and learning activities. Home was still far away for me as I was the event participant that came from the furthest part of the world in Asia! I had a few extra days in LA to spend time with Fei and Gadget as Christopher, her husband, was also on the road overseas for business meetings. I did get to see Christopher briefly though with Fei passing me her iPad on a video conference call with him! It's amazing how the world has changed from the time I first embarked into the IT industry as an entrepreneur in the 80s and today I'm privileged to witness in the front lines of what could be the largest technological shifts occurring in history! Like Gadget resting for the night in the above pic, I think I need to do the same, to ponder about all that I've learnt or been updated with over this weekend! I need to prepare myself for the change so that I can continue to live my life as I have always done, ie. by design rather than by default. Wish me luck! ...while I explore the California beach on a nice warm sunny day. Even Gadget the small dog is having fun playing chase with the big dogs at a nearby dog park! By night fall, we made a trip to the home of a junior friend from my days at college in Australia. She cooked a wonderful Chinese dinner for us. After dinner, she brought out her family album to show us the old photos she had received from our annual greetings and updates that were sent by snail mail in the early years to all our friends. We see above a couple of the photos of our family in her album from the early years that she had kept when we had only three children in our family. 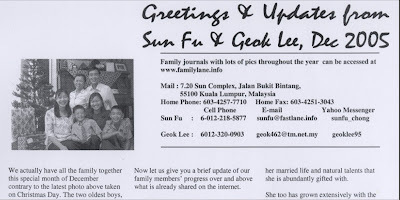 Click here to see a copy of our early newsletter of Jan 1992 that was sent out with our family photo. Interesting like in M'sia or S'pore, one would say meet at Starbucks but this was California with many townships south of California. Luckily I had google maps with directions for me to head down the coastal highway 5 to the township of Cardiff! You can see my location on the map in a blue dot with a large circle. I was there right on time as if I was a local resident!!! When I got back to LA, I asked Fei if she wanted supper, suggesting a Greek place I knew in Hollywood area but when we got there, it was not in business anymore! So we ended up enjoying good ole fashioned American hambers! I learnt that '5 Guys' was the popular outlet from the East Coast while 'In-N-Out' was popular in the western part of the US! One can't miss the building that is just off the busy Santa Monica freeway with the tall steeple and a golden angel Moroni at the top as seen in the above two photos. I had a nice spiritual experience communicating with my Heavenly Father and also in a way with my wife. I asked her several question like how she was doing etc and I could get an impression of her smiling face consistently which made me happy for her. It was time to say goodbye to Fei who has been my gracious host for a few days. It's always nice to have a father-daughter personal time together. She is seen above after dropping me off at the airport just 5 mins from her home! I got the same aisle seat with nobody in the middle rows of seats so could stretch out for the entire journey. Going home from US always meant I would lose a day when I arrived so the 12th day of CNY was totally gone as I arrived in the early morning of the 13th day as per the account below. The host of the afternoon was dressed in CNY colors and was an impressive presenter! After the event I felt hungry for some local food before getting my beef noodles that I was craving for! 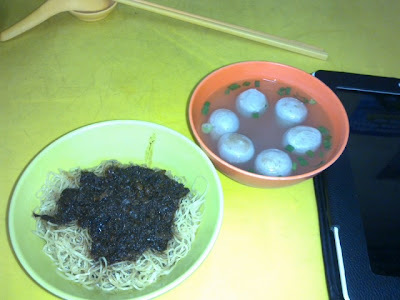 It was not till night that I could go to Imbi for the famous 'beef koay teow' from there! I had committed to be at the Elders Quorum activity for learning how to cook Chilli crabs at 1pm at the Clementi Ward at Pasir Panjang. The first day of the CNY was a Sunday and so was the 15th day and I met President Mains and his wife at the Clementi Ward meeting. 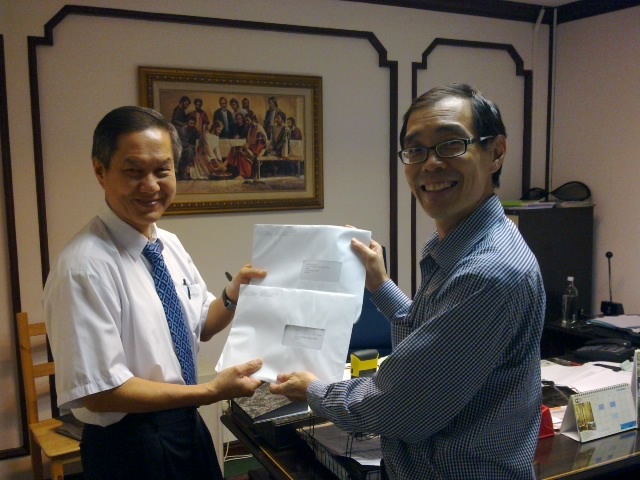 He happened to have two important mails that he wanted to send to KL that contained the mission calls for the sons of Peter Ee in KL branch and President Paul Dass the District President! He found out that I was leaving for KL later in the night and so I became the courier for him to get those letters to KL in the fastest time possible. Here is President Mains showing Luke Milburn and his wife Vivien the photos of the new Sibu chapel to be dedicated in two weeks time. This was of particular interest to Luke as he was a returned missionary of the Singapore Mission who had served in Sibu when he was called from London England in 1997-99 to serve under President Collins. Besides Sibu, he had also served in Ipoh, Miri, Sandakan and Sri Lanka. Here is a photo shot of the photo from the iPad of President Mains. A very impressive looking building indeed! Mom there is a Lion in our Home! I have always been interested to see a Chinese Lion dance during the festive season. As I didn't get to see one yet this Chinese New Year, why don't we have one come to our home instead? Looking on is Fei and Su from the computer online and we believe Mom gets to see it too through the FB she gets in the spirit world! David Ooi and his wife whom I had just made friends with on the eve of the CNY, as mentioned in the post above, had invited us to their home for steam boat and to do the Prosperity Toss or 'lo hei' as seen above. Last but not least was to carry on our unique family culture of the single children doing a symbolic tea ceremony on the 15th day of the CNY as a closure to the fifteen day celebrations. This is described in more details here. 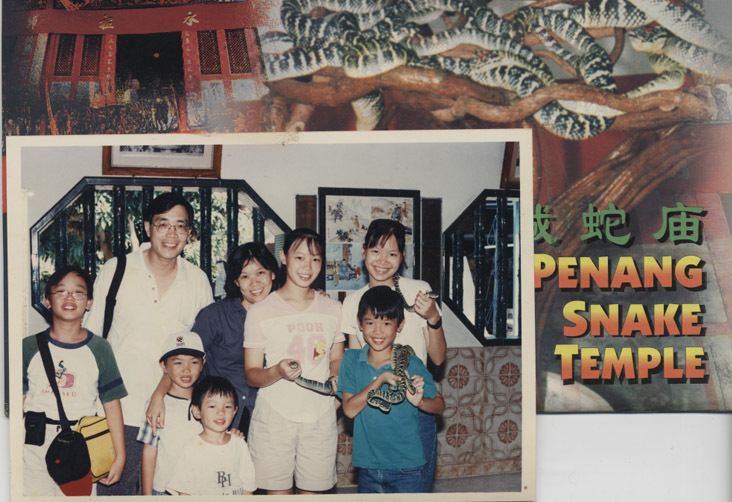 Thus ends this post of how the Eve and the first 15 days of the Year of the Snake was celebrated and ushered in by our family. If it is symbolic for the whole year, we would continue to make more friends, enjoy more bonding time together as a family, have plenty to eat and enjoy high energy level activities throughout the year! The courier man fulfilled his task to deliver the urgent two mission call mails to Peter Ee at the Church Service Centre office in PJ by noon time Monday, about 24 hrs later from the time he had been given the assignment in Singapore! No wonder the courier man works for a Fastlane organization lol. It was only learnt later the next day, after the families had opened up the letter, in an exciting moment when Han received his call, that we would know where they are called to serve. John Ee is called to the Sydney Australia mission as a Mandarin speaking Elder while Benjamin Dass is called to the St George Utah mission in the US.